Join us for a day of presentations and discussions on the implementation and practicalities of the Marrakesh Treaty. The seminar is free of charge and includes coffee service. Online livestream of the seminar is provided by Library Channel. The stream is open for everyone and does not require registration. A link to the video recording of the presentation at Finnish Library Channel. Registration is closed. If you wish to attend, please contact us for cancelled seats. If you have any questions regarding the seminar, you can contact Communications Specialist Johannes Koski, johannes.koski@celia.fi / +358 295 333 075. You’ll find a wide selection of hotels near the seminar venue. We can offer discount codes for Hotel Helka, Scandic Simonkenttä, and Holiday Inn City Centre. There are two cafés in Oodi and a wide selection of restaurants nearby. 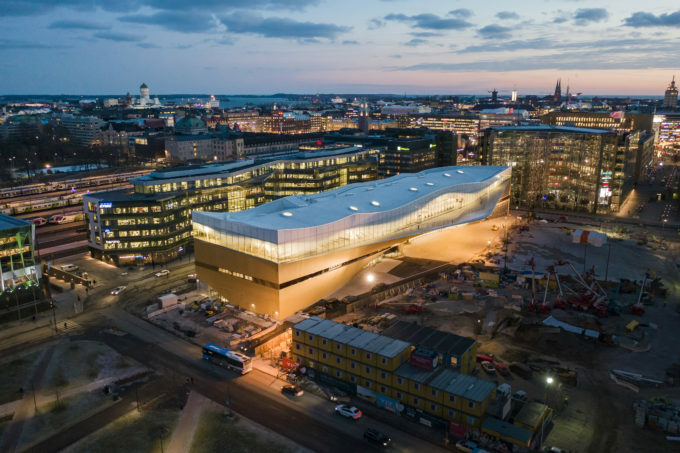 For example, the restaurants at Postitalo (Mannerheiminaukio 1 B) and Musiikkitalo (Kansalaistori 2G) are good and affordable, Jufu (Töölönlahdekatu 3) offers a delicious buffet, Manala (Dagmarinkatu 2) is a local legend, and Kiasma Café (Mannerheiminaukio 2) offers delicious food at the Finnish Museum of Contemporary Art.